Objective lens with high transmissions that are visible up to 532nm. Applications include Nd:YAG laser cutting and repair of semiconductor and LCD circuits. 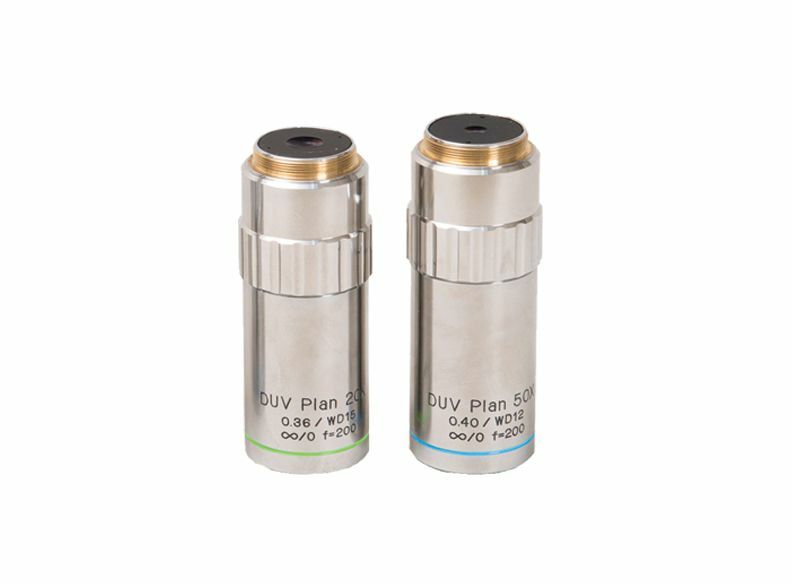 The DUV is an extension of the UV Plan APO objectives lens series. The lens are able to extend high transmissions down to 266nm. They are optimized for Optimized for brightfield illumination and f=200mm tube lenses. YAG laser cutting and repair of semiconductor and LCD circuits.